Adopt, don’t shop! 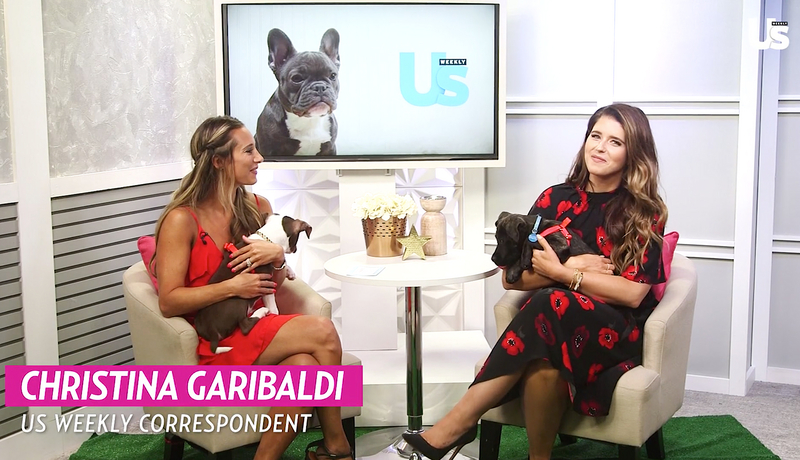 Animal activist Katherine Schwarzenegger stopped by Us Weekly’s headquarters in NYC to share details of her new children’s book, Maverick and Me, which explains the benefits of pet rescue and adoption to young readers. Can You Identify These Internet Famous Pets? The 27-year-old bestselling author, who was accompanied by two adorable rescue pals Elliot and Everett from the Best Friends Animal Society, pulled from a personal experience with pet adoption to tell the story of Maverick, an abandoned puppy who meets his adoptive family at a shelter. “I wanted to write this book because I saw how kids reacted to me having my dog and the fact that you could get a dog that came with a story,” Schwarzenegger, who is the daughter of Maria Shriver and Arnold Schwarzenegger, explained to Us. In 2014, the lifestyle blogger worked with a rescue ally to foster puppies — an experience that would lead her to adopt rescue pooch Maverick in May of that year. “She called me and asked me if I would mind taking another puppy that was just 4 weeks old and found under the freeway in South Central. Obviously, I said yes and when I got little Maverick, I was feeding him out of a syringe,” Katherine wrote in 2016 on her blog. Maverick and Me is in bookstores now.